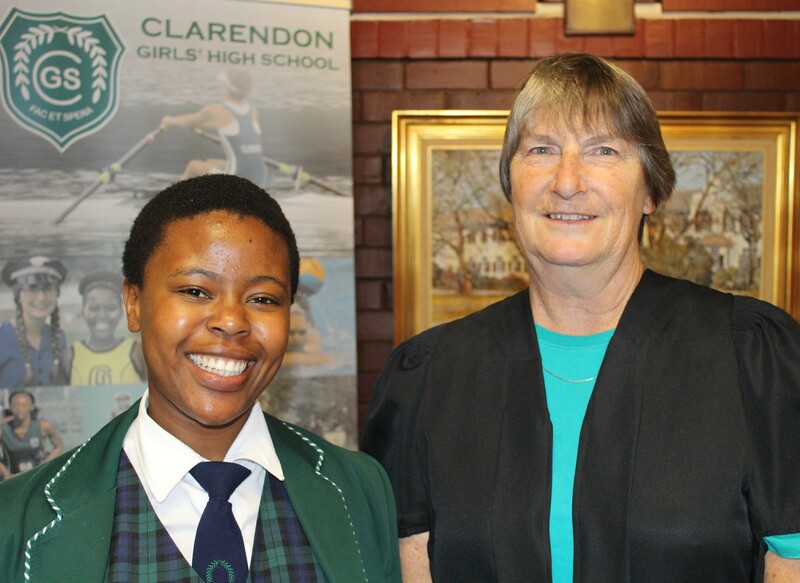 Patricia Rose pictured with Mesuli Zenani, who is currently in Grade 11, and one of our new Senior Councillors (Prefects) for 2019. Patricia Rose has just retired as the Headmistress of Clarendon High School, and took the time to answer a few questions for the SSP Annual Report. 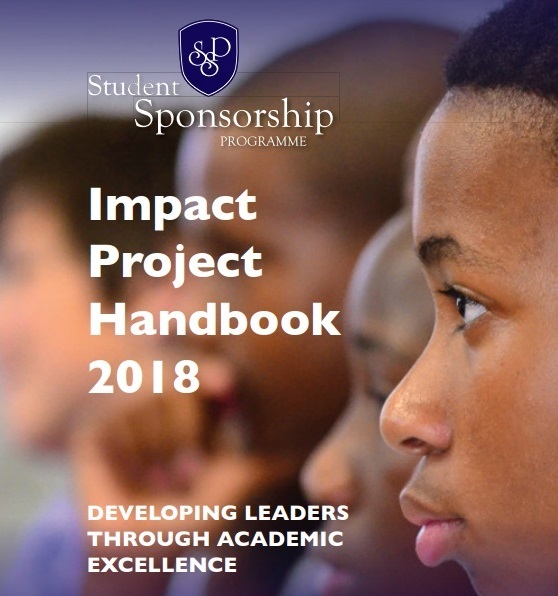 SSP is “an excellent scholarship programme that teaches self-discipline, accountability and sound values; as well as a good work ethic – and empowers its young recipients to make good choices, as they go out into life”. She continues, “The reward you will reap as you witness the development and growth in this young person is very fulfilling. There are so many potential leaders who, given this opportunity, can contribute to a better South Africa”. What would she say to a potential SSP Donor? If a potential donor would ask why they should sponsor a SSP Scholar – how would she respond? “I would reply: Yes! Sponsor and give a deserving young person the opportunity of an excellent all-round education”. Looking back over the years, which SSP alumnus won her heart? She smiles wryly and replies, “All were special and it has been a pleasure watching each one mature and develop into fine young people ready to make their contribution to society”. What is her driving force? Asked what has been her driving force when it comes to education, she replies: “It comes from my passion for my subject: History. My passion and desire to give as many young people as possible the opportunity to reach their potential, and to be a positive member of their community. Change for the better comes through education”. She began her teaching career in 1977 at Kimberley Girls’ High School. She started at Clarendon in 1980-81, travelled in 1982-83 and returned to Clarendon in 1984. She was appointed as Acting Principal in April 2013, then as Principal in October 2013. Lastly, what plans does she have now that she is no longer at the school? “I’m still working out my future plans, but I plan to travel as much as I can”. Do I have to be a grade 6 learner? Yes! Whether you are applying from Gauteng or the Eastern Cape, all applicants have to be in Grade 6 at the time of application. Do I have to be a South African citizen? You must be a South African citizen or have legal refugee status in the Republic of South Africa. Permanent residents are not eligible for the SSP scholarship. What school will I attend if selected as an SSP Scholar? SSP scholarship recipients attend one of our SSP Partner Schools. Scholar placement is a collaborative effort between SSP and the Partner Schools. Can I fax or email the application or its components to the Student Sponsorship Programme? Emails are accepted but faxed applications will not be accepted. Completed application forms can be emailed or are to be hand delivered to our offices or designated library collection points. Eastern Cape applicants to be notified on where to drop off application forms. Gauteng applications to be hand-delivered to: SSP Gauteng, NBC Building, 22 Ridge Rd, Parktown, Johannesburg. What represents a complete application? You have completed the preliminary application process when you have delivered the application form, complete with your personal information, school report, birth certificate copy, parents/guardian ID copies and parent/guardian financial information (payslips or affidavits) to us. What are the requirements to apply to SSP? Be not older than 12 years of age at the time of application. Achieve an overall average of 70% or more in Grade 5. Have a 70% minimum aggregate for mathematics, English and natural science. Be in financial need – less that R 200,000.00 combined annual household income. Final selection is made by the Student Scholarship Programme Panel. The Panel reviews the applications and interviews the finalists. When do I find out if I am a recipient of an SSP Scholarship? Applications are now closed and the recruitment is in process. Successful candidates will be informed about the details of the entrance exam by telephone and email.